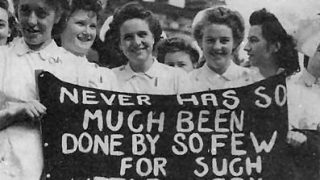 This week is ❤ unions week – and as part of that, ❤ UNISON week –when we celebrate everything that is great about trade unions. It’s a time to take stock of everything that has happened over the past year, everything our union and our members have achieved. And we have so much to be proud of. Of course, there was the Supreme Court victory over employment tribunal fees – a massive win not just for UNISON members but for every single working person in the UK. This was the biggest employment law case in recent history and it was our union that won it. But not all of the successes of our union capture the headlines. Most of the work we do goes unseen by most, but that doesn’t mean it matters any less. By standing together, by pooling our resources, by working in unison, we can achieve far more together than any of us could alone. That is the belief that’s at the very heart of our union and it’s central to what we celebrate this week. Of course, in the year ahead we’ll need that togetherness even more as we continue to fight and win for public services and everyone who works in them. Last year, we said we would fight to end the government’s pay cap and win proper pay rises for all public service workers – the cap has now gone, but the fight for real rises continues. And of course, this year we celebrate our UNISON’s 25th anniversary – so as we celebrate all that we love about our union and all that makes us proud of it, let’s look back on a quarter of a century of achievements large and small. And let’s commit ourselves to working together in the years ahead to build an even bigger and better union for all our members. Be proud of our union. 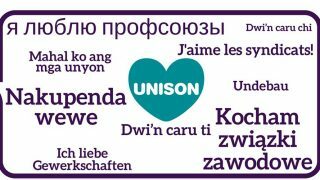 Be proud of the remarkable things you do as a UNISON member and for other UNISON members. And know that every UNISON member and activist plays a vital role in building a better country for everyone who relies on the public services you provide.